Here is a python script to create a complex jacket, from 2012. I ran this today and exported the final pattern (SVG) as a .pdf and as a .png, both attached below. Notice that the .py file is manually programmed, and rather time consuming. And it is read and processed by my prototype TMTP (not uploaded here). I’m posting the python script here because this is the type of file required by PyValentina. But with this type of ultimate control comes fantastic creations. Seamly2D/Valentina still doesn’t have all the tools and operations I created in the python prototype, as our previous programmer didn’t believe we needed them ! One day I hope to be able to create something this complicated through a GUI program, like Seamly2D. But we need the programmers to make this happen. A 10dpi .png image of the final pattern is shown below, so you know what’s in the PDF. Hat off to you That’s really amazing. I’ve been reading all the PYValentina chats but it’s been way over my head so I’ve been really quiet about it. I even went so far as to install Python but I haven’t even tried to run it yet, because I really haven’t had the time to study it right now. Now I’m going to have a look at GO. Perhaps that will sort of fit into my PHP website skills more. YAY! 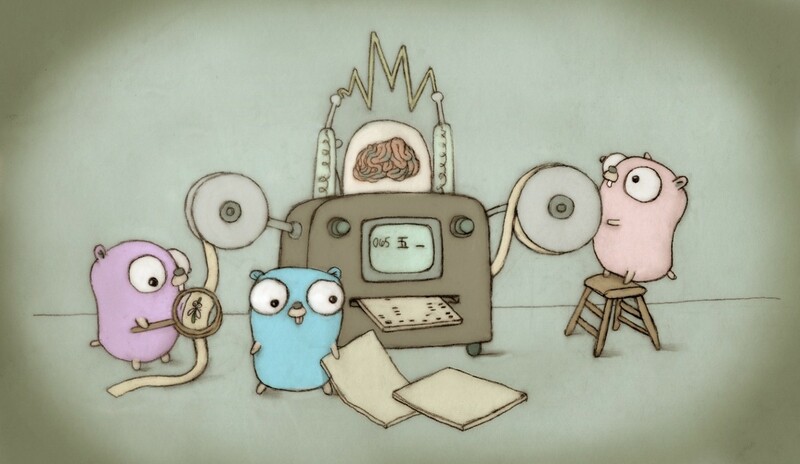 I’m really excited about golang. I think it’s important to interject a bit of history at this point. Roman didn’t like the Android body measurement app. He sent me email saying that he wanted to develop this himself. And this pattern repeated itself over and over. Roman didn’t want to have a measurements app in 2014. He stated that the users could create the XML measurement .vit files using a text editor. So I hired Corey Berry to create the measurements app. Roman didn’t like it, woulldn’t merge it, and he wrote his own but it was just like Corey’s code. Same is true for pattern labels, I hired Bojan Kver to write the label code. This is also true about ability to run the code as a batch job from the command line, so that a business could automate generation of a pattern for a given client. I hired another programmer (Alexei ?) to write this feature, and Roman made it terribly difficult. Plus, our 4 programmers that were interested in working on this project last fall lost their interest after receiving private messages from Roman. So we’re in a position of needing to move this project forward. This is what happens when a coder takes over a project and believes they own it and that no one else contributed to its success. Strangely enough I still love programmers, and I am one myself :). But I have no interest in learning C++. I think C++ has it’s uses, but it has a lot of difficulties. We’ll work this out, and I appreciate everyone’s interest and patience. An import tool for the Seamly2D format in other tools, (this is what interested me about the really old TMTP scripts.) , namely those that already support extensions in certain languages , Both Inkscape and Blender supporting python extensions. An “embeddable” pattern viewer/browser for web. Part of the motivation for Seamly2D was ‘libre’ tools for fashion. Being able to view shared patterns in the cloud would be important for this. In any event an embeddable browser/viewer for Mediawiki would enable example/tutorial patterns to be viewed interactively on sites like Seamly2D’s own wiki (hosted on Miraheze). I would certainly be interested in seeing old pattern system books (suce as those on a link I posted recently) being able to placed online with “interactive” patterns. I may be utterly insane and clueless, but perhaps one idea that could be considered is the Seamly2d library as an Inkscape extension to extend Inkscape’s own tools. I believe there is a need for a compiled (vs interpreted) product to have good performance. That does not preclude the usefulness of doing a python (interpreted) version. If it were my decision, I would start with a definition of the roadmap and document a clear vision of where you want the project to go. A (not yet existent) add in for blender would be an example of a new program. I have not lost interest in coding on the project but life goes on and I have had many other priorities in the last year. I perceive Seamly 2D as a really awesome idea and one that I find unfocused at the moment. I may be wrong and there may be focus that I simply don’t see from this forum. Hello! I’m glad to join your discussion guys. I found a lot of info from you and it really helpful. So I want to share one source too. It’s about Python. Would you like to read it? Yes @kmf You should add to the roadmap!